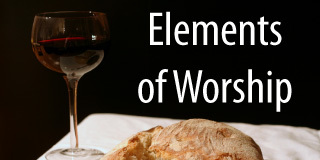 Learn how and why we worship! Crossway Church believes that Jesus Christ is the reason why we worship. Since He is the focus, all the aspects of our service (the preaching, songs, prayers, communion, etc.) remind us of what He accomplished on the cross on our behalf. Our worship service is designed to take the focus off ourselves and onto Him. This helps us to recalibrate our priorities and focus. Crossway Church loves to sing with all our hearts. However, we don’t just like to sing songs with catchy tunes. 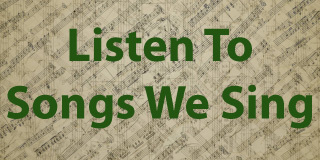 Rather, we strive to sing songs that remind us of the powerful work Christ did on our behalf. We try to choose songs that are strong both musically and lyrically. A simple team leads worship each week at CrossWay Church. Most often, our band is lead by an acoustic guitar. Our worship is vibrant. We sing a mix of contemporary songs and our favorite hymns. Our worship service usually last about an hour and fifteen minutes. Our services have upbeat moments and times of reflection. We usually preach for about 30 minutes. You can learn more about the flow and different aspects of our service and some of the songs we sing below. 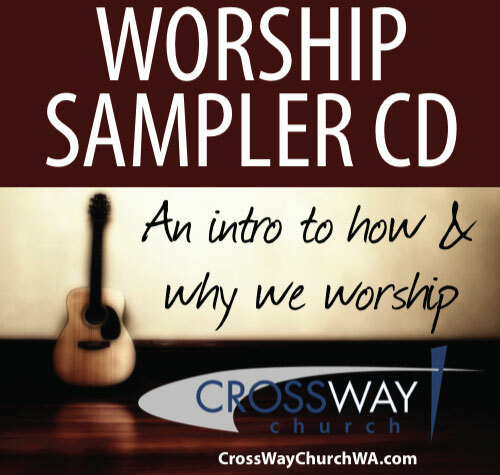 Click here to go to our online worship music library and learn some of the songs we sing at CrossWay! Click here to learn more about the general flow or order of our worship services. It explains what we do and why we do it.